My gallery of photos of Meteora, Greece is now online and in celebration of that fact, today’s photo of the day shows the Roussanou Monastery perched on a cliff overlooking the valley in Meteora. I’ve finally had a chance to go through some of my photos from my trip to Greece and I wanted to share one from incredible Meteora. 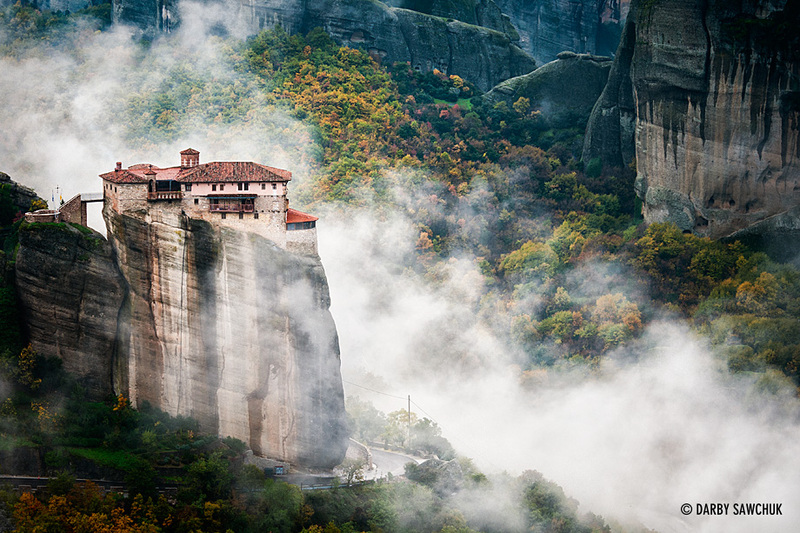 This is the Holy Monastery of Varlaam. In the background, right in the middle of the shot, you can also see the Holy Monastery of Rousanou peeping through the clouds (make sure to click the image for a larger version). 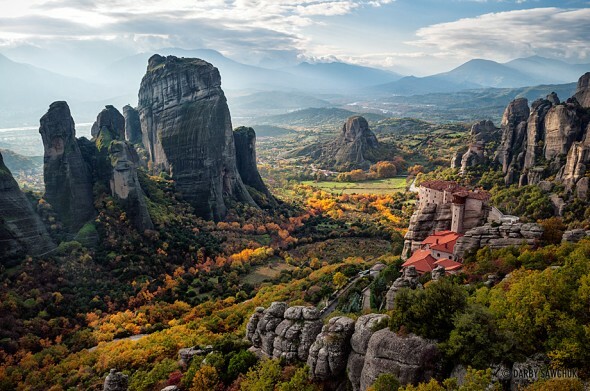 Meteora is one of the most spectacular landscapes I’ve ever visited and I took this trip for the express purpose of getting shots like this. I had five days there and the weather really didn’t cooperate with me most of the time. This fleeting break in the clouds lasted for a half hour at the most, but it certainly was a perfect 30 minutes and I tried to make the most of it. After these clouds were swept away, the sun took over and made a nice change from the cloud and fog that had been hounding me for the previous few days. This weekend, I’m lucky enough to be heading to Cuba for two weeks to escape the dreary Manchester winter for a little while. I expect my access to internet to be a little bit sporadic there, so please be understanding if I don’t reply to any questions or comments immediately. In the meantime, if I do get any access there, I might be able to post an update or two on my Instagram feed or on my Facebook page.